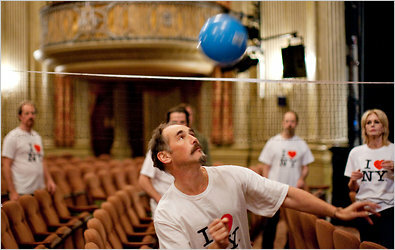 Mark Rylance warms up with the cast of La Bête before curtain. Yes, that's David Hyde-Pierce and Joanna Lumley on the right. Looks like the New York tourism bureau is the official warm-up costumer for this show.